Do you love the restaurant business? Then you should be listening the Social Restaurant Podcast -- Weekly Talk Radio for Restaurateurs! 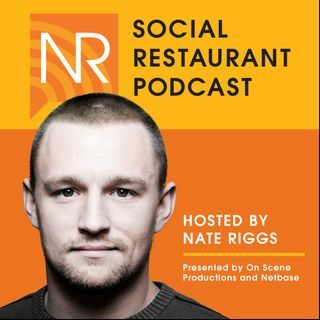 Hosted by Nate Riggs, each 30-60 minute episode covers the hottest topics, trends and technologies that are impacting the restaurant industry. You’ll hear stories and advice from executives, operators and owners, some of today’s top chefs and other big thinkers that are leading change. Each episode includes a one-on-one interview with an expert guest, ... See More commentary on recent industry news and events and helpful, actionable tips that you can put into action.